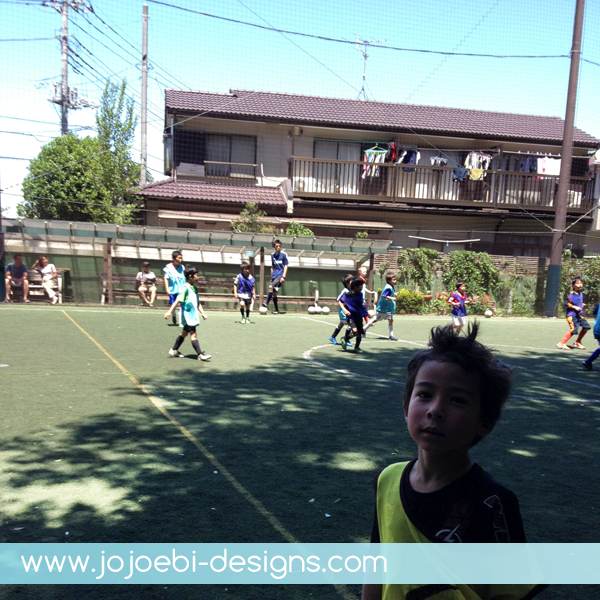 We had a fun filled weekend, although Ebi-kun did get rather battered on Saturday, poor kid! We went to footpal, lots of the bilingual kids were there too - we are taking over! 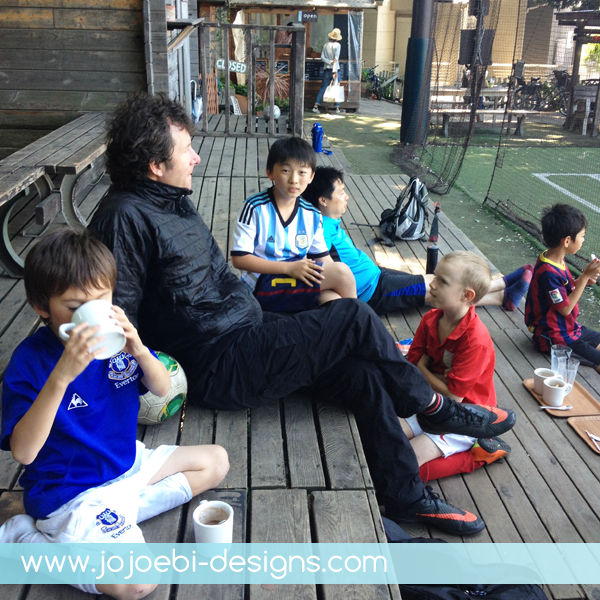 Hot chocolate and mini donuts are the after footy treat - and keep the kids going because we end up having a late lunch. Ebi-kun went back to our friends house by kickboard scooter which is when incident #1 happened - falling off and putting a nice hole in his leg! 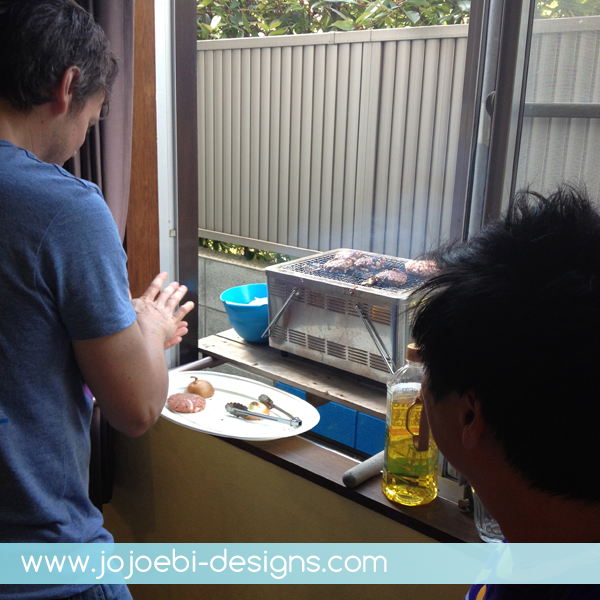 It was lovely weather and the kids were playing in the back yard so it was decided it would be safer to set the BBQ up on a couple of poles through the window (not entirely sure who decided this was safer!) but it worked! The food was great as was the company and the house didn't burn down. 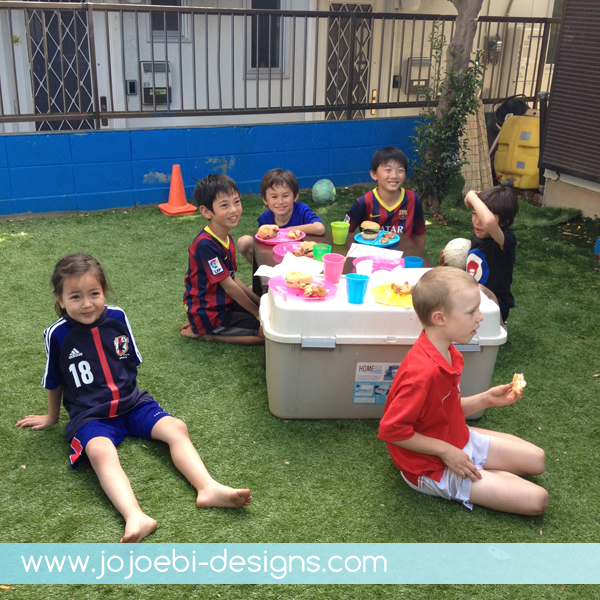 The kids thought it was fun having dinner outside, incident #2 happened when Ebi-kun was still eating, the others had finished and were playing football, again. Ebi-kun ended up with the ball in his face and covered in mango juice, it would have been a comedy moment if he hadn't been hurt in the process. So then he needed to take a shower! Yasutoki was working so he didn't arrive until 6-ish and he walked in to a blood everywhere… incident #3 Ebi-kun got hit in the nose which resulted in a massive nose bleed! Despite all the injuries, when we got home, somewhat exhausted, he declared it had been a brilliant day - that's how he rolls!